What is the IT Community of Practice?  The IT Community of Practice (ITCoP) is a Faculty Fellow initiative that provides an opportunity for faculty to bring their lunch and join colleagues in demonstration and discussion on trends and issues in instructional technology. For the 2018-19 academic year, the IT Community of Practice (ITCoP) will focus on instructional technology trends and issues related to teaching and learning spaces. Each month attendees will visit different classroom and lab spaces throughout campus to explore how innovative teaching and learning spaces and resources are enhancing teaching and learning. Host presenters will share instructional technology techniques for flipped, face-to-face, and online course delivery. Attendees will experience individual and collaborative options for hands-on, experiential and engaged learning. Faculty are invited to explore learning through hands-on experiences with augmented/virtual reality on January 23, 12:20 p.m. to 1:10 p.m. in the Burchfiel Geography Bldg., Rm 405, followed by a campus-wide AR/VR interest group meeting. Join us for ITCoP in the Haslam College of Business on February 27th at 12:20, hosted at the college’s Technology-Enhanced Education suite in the Haslam Business Building, Rm 406. Attendees will explore the fully-operational video studio and soundproofed audio booth. We will also visit a classroom, where faculty will discuss how the college incorporates technology into classes, assignments, and group projects. OIT’s IT Community of Practice will explore how innovative teaching and learning spaces and practices are implemented in the UT Gardens on the Ag Campus. We’ll see how students engage in both the process and the learning concepts related to public-use plant collections. Come join us on March 27th at 12:20 and experience the role of “plant data collector.” We will meet at the South Greenhouse, Room 122, located at 2514 Jacob Drive. We hope to see you there!